Browning A Bolt, 30/06. Glass bedded, free floated barrel, Timney Trigger upgrade, Leupold bases and rings, Richards Microfit thumbhole stock. Ruger M77 243. 20 year old rifle. Reconditioned stock. This ol' girl has seen it's share of rifle scabbards, been dropped, drug, used as a walking stick. Reconditioning included a Timney Trigger, Leupold rings, glass bedded, free floated barrel, polished inside and out. A new 50mm objective King Scope is on the way to complete the package, that's why the high rings. Winchester Model 70 reconditioning. New Royal Camoflage Monte Carlo Stock glass bedded, free floated barrel. Matte blue. Looks better than new. There are a lot of pictures on this page. It can take a bit for the page to download. If the frames are gray, wait a minute or two and there will be scrolling pictures to see. Thanks. Savage 99 in 303 Savage. Total restoration project. Buttstock was broken and taped. Forend was split all the way through on one side. A priceless family heirloom. We get asked all the time if rebluing is worth it. Well, we think so. Winchester Model 70 30-06. Ted Gaillard 26" Benchrest Hunter Contour bbl, Richards laminate stock, Speedlock silicon firing pin spring, Timney Trigger, Farrel 20 MOA 1 pc tactical base, Leupold PRW rings, Leupold 4-14 X 40mm VX-II scope. Parker Hale 30-06. Been in the family now three generations. Upgraded scope mounting system to 1 pc Leupold std base, Leupold std rings & Pachmayr Decelerator recoil pad. Stock refinished, rifle cleaned and polished. Good for another three generations. Before and after photos. 26" Ted Gaillard #4 Medium weight fluted varmint barrel with a light bullet twist rate. Richards Tac-Driver laminate stock. Leupold QRW bases, Leupold PRW rings, Leupold 6-18 X 40mm VX-II w/ AO scope. Remington 700 in 300 RUM. 28" Ted Gaillard Barrel. Factory ammo muzzle velocity: 3318 fps with 180 gr bullet, 2385 ft lbs energy left at 500 yd's. Zero @ 343 yd's bullet drop only 16.81" @ 500 yd's. Bullet strikes 3.5" high @ 100 yd's. Timney Trigger, H-S Precision detachable mag, Leupold scope, Leupold rings, Leupold bases, Richards Dual Grip Claro Walnut stock, glass bedded and free floated. MOA with factory ammo, sub MOA with handloads. All that energy from a manageable 9 pound rifle. 28 1/2" Stainless Steel Ted Gaillard Bench Rest Hunter Contour barrel. Holland Competition recoil lug. Tapered for glass bedding, about 2X thickness as original recoil lug. Ken Farrell 1 pc. 20 MOA scope base. Designed for 700+ yard shooting. Leupold PRW rings, bored and aligned. Richards Autumn Leaves Laminate Wildcat Thumbhole stock. 5 shots @ 100 yds. 3 shots @ 100 yds. 10-20 mph wind from right to left. 300 Win Mag, 100 yds. Factory rifle with Premium scope mounts and a premium scope. Leupold std bases and std extention rings. 6-24X42mm Scope. Richards laminate stock. Wildcat style. Tigerwood color. Pillar bedded action, free floated barrel. Mauser 98 reconditioned. An actual German Mauser brought home from Germany after the war by family. Manufactured at Mauser Werkes K.G. Obernorf on the Nekar in 1944. Sporterized but kept somewhat original. Same safety, bolt, kept barrel mounted sights. Leupold 4.5-14 40mm VX-III B&C scope. Farrell base. Leupold PRW rings. Ramline stock. Re-blued matte finish. A complete reconditioning, re-blue, stock reconditioning, new Leupold std rings and bases, Pachmayr Decelerator recoil pad. This 25-06 custom rifle is going to be passed along to the third generation hunter. Based on a Mauser action. Richards Straightline thumbhole stock. Laminate, black/grey. Pillar & glass bedded and free floated barrel. 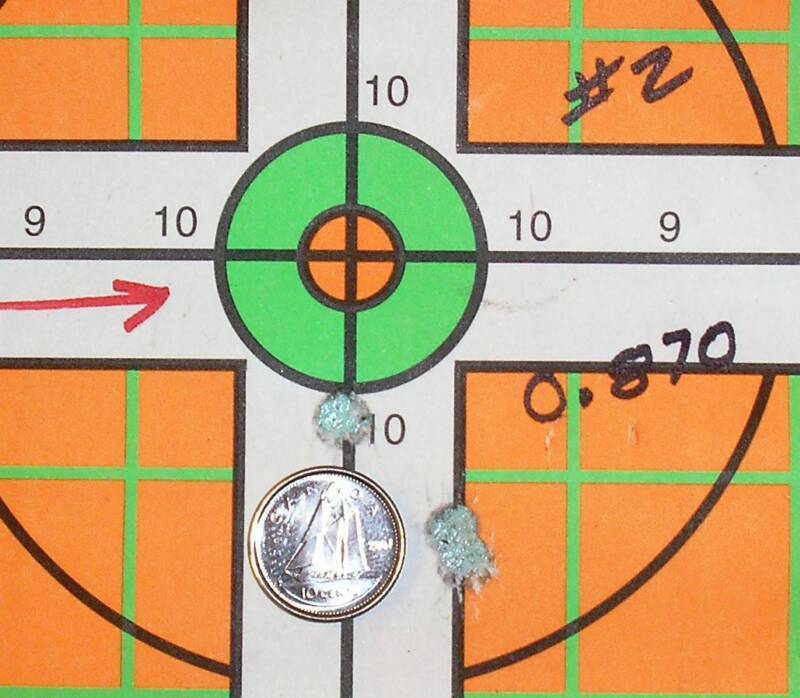 BSA 7mm Rem Mag, shot a less than quarter sized group when sighting in. EGW Tactical Picatinny base & TPS tactical rings securly holding a 50mm Leupold scope. Customer supplied Walnut stock for a Ruger #1 in 270 win. Glass bedded stock, sub moa. This will be great on the Speed Goat hunt this fall. Winchester 94. 38-55. Third generation. Complete restoration. Was non functional. A family heirloom back to its former glory. Winchester Model 94 30-30 wcf. Before & after bluing and stock restoration. An original Mauser M98. Started life as a 8mm Mauser. The Email code is case sensitive, please be careful. Early model Weatherby Vanguard 7mm Rem Mag. Updated a bit with new Leupold std 2 pc. bases and Leupold std rings. Richards Microfit Desert Sunset Wildcat stock. Glass bedded, free floated. This faithful partner is going to be passed on to the next generation. Winchester M670. 30-06 Spr. Refurbish project. 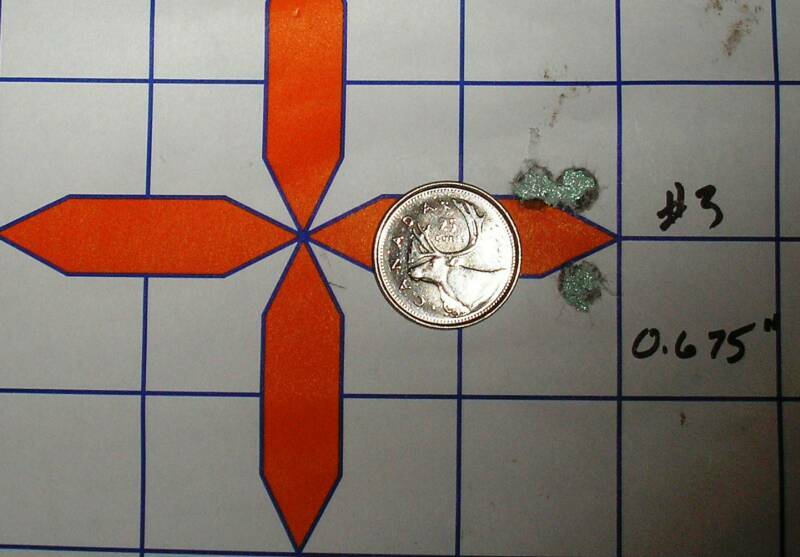 Quigley Ford scope calibrated for 30-06 Spr 165 gr. 28 inch Rob MacLennan fluted SS 5 1/2 Contour barrel 1 in 10" twist. Sub MOA with Hornady 180 gr SST Interbond factory ammo. 100 yard initial sight in group. Hornady SST Interbond 180 gr. 317 yards. 15-20 mph wind. Favorite load determined to be Federal Premium 165 gr SGK. 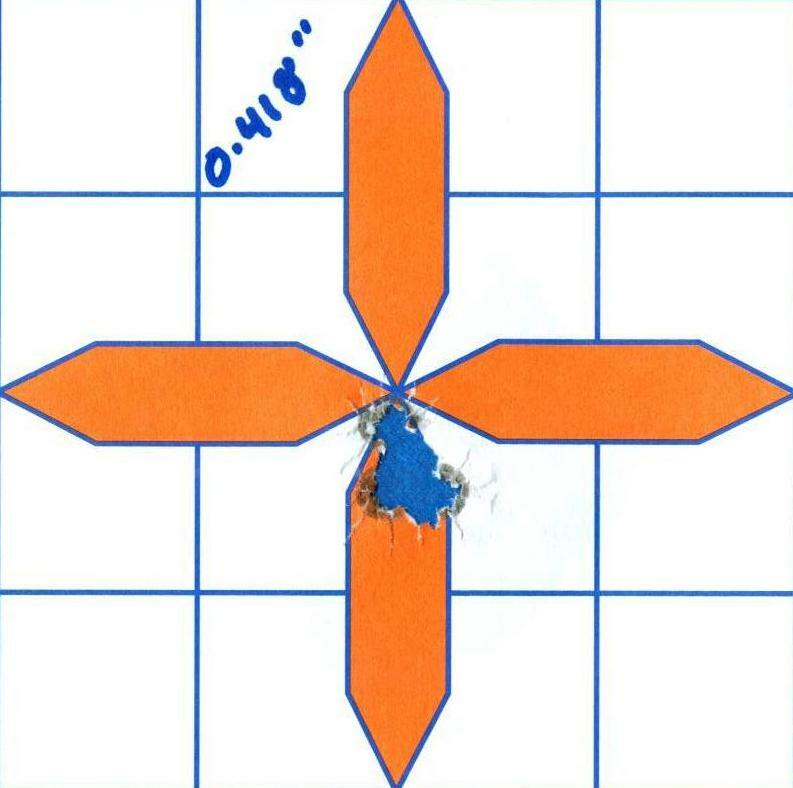 Chronographed, sighted in @ 275 yds. This old Savage in 250 Savage fed a generation from the peaks of Forget Me Not to the valleys of Three Point Creek. She bore every trail and every mile from worn finish to broken stock. Completely restored and ready for the next generation to enjoy our sport and lifestyle. Many more projects on our Facebook page. Check us out. Search albums for some really cool projects. Remington M700 7mm RM Factory barrel and action. Leupold VX-3i 4.5-14 X 50mm (30mm) CDS Side Focus Windplex reticle. Evolution Gun Works Picatinny rail. Tactical Precision Systems Tactical 30mm rings. Custom Hillbilly Arms Long Range Thumbhole Stock made from Zebra Wood. Pillar/glass bedded. Free floated. Custom distressed stain, multi-coated hand polished oil finsh. Two forearm swivel studs.